Hey guys, Sarah here. So you’re not a marketing expert, and the budget doesn’t allow you to outsource all of your marketing efforts to a guru who knows their stuff. Damnit. THE DIY approach it is. Email list? What does that mean, Gmail contacts? You’re just feeling stuck because you think you’re doing all the right things, yet you hear the sound of crickets more than you hear email or FB messenger ‘pings’ from potential clients. Marketing is often confusing, there’s so many options which leaves us feeling stuck, and the time you do put in to marketing your business often results in a whole lotta effort with zero return. I know how you feel lady, but don’t throw in the towel yet! I want to talk to you about email lists and why list building is a cool tactic to start implementing in your business. “Alright Sarah, you have my attention”.. So why is Email List Building a smart idea? Well who doesn’t want a list of potential customers at their finger tips? People pay big money to buy email lists! (I don’t suggest you do this), but they’re kind of a big deal. A good marketer will tell you to start one, and there’s no time like the present. 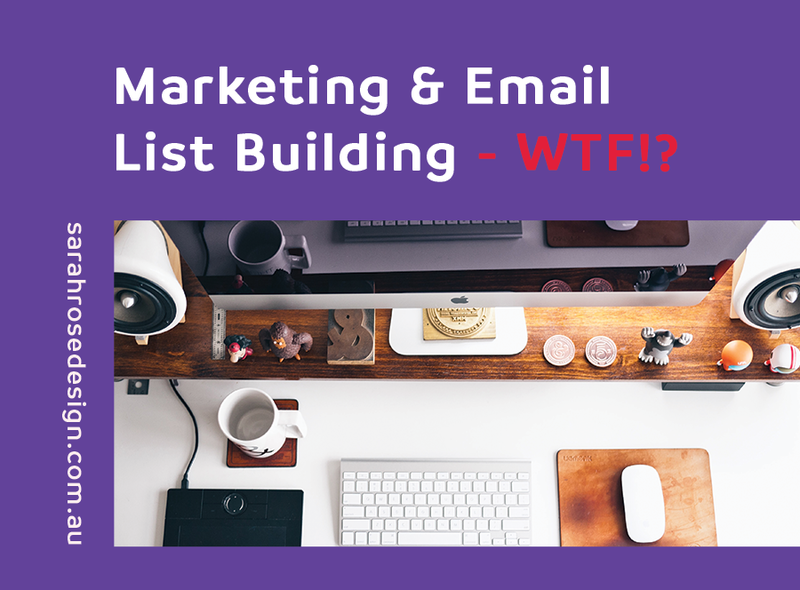 I’m going to give you the low down on email list building, what the heck that means, and why it’s a good strategy. But first, the scary part. If Facebook or Instagram shut down, you are left with no followers, no leads; nobody. It’s sort of a scary thought right? That’s where having an email list comes in handy. While thinking about Facebook or Instagram shutting down is more like a horror movie, the good news is that email addresses won’t disappear any time soon. Building your email list is a great way to ‘nurture” and talk to your potential clients (clients who are in need of your service and may want to buy from you). Ok, how do I build an email list, Sarah? A lead magnet/freebie/hook/opt in is something that is free that relates to your service, and offers a bunch of value to your potential clients. You collect the name and email address of anyone that “opts in” to receive this freebie. Basically, you are offering something free and of value, in exchange for an email address. (Keep on reading for an example of my lead magnet below). Gotcha. How do I create my “Lead Magnet” or “Freebie”? How do you get people ON to your email list? You entice them to opt in with your lead magnet, or your freebie. 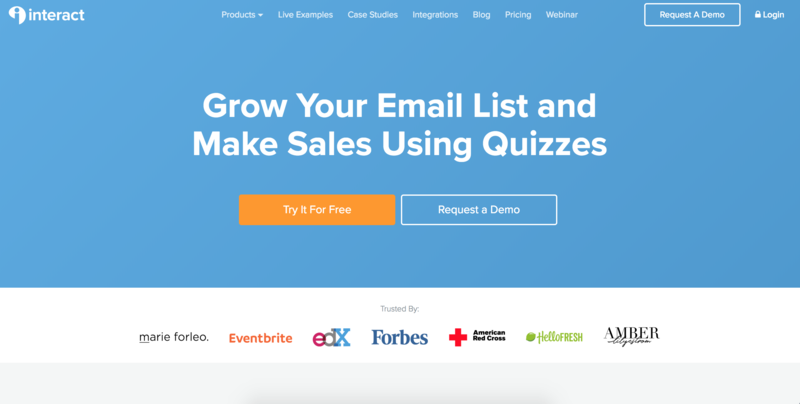 Quizzes are a really fun, interactive and easy way to build your email list. Have you seen those quizzes online, you know the ones “Find out which type of bread you are”. Haha. Don’t do that type of quiz. You would create a quiz that relates to your industry, and you can create your quiz through an awesome, easy to use program called Interact. So in my case, I’m a graphic designer specialising in branding for service based women, so I created a quiz called “What is Your Brand Personality”. 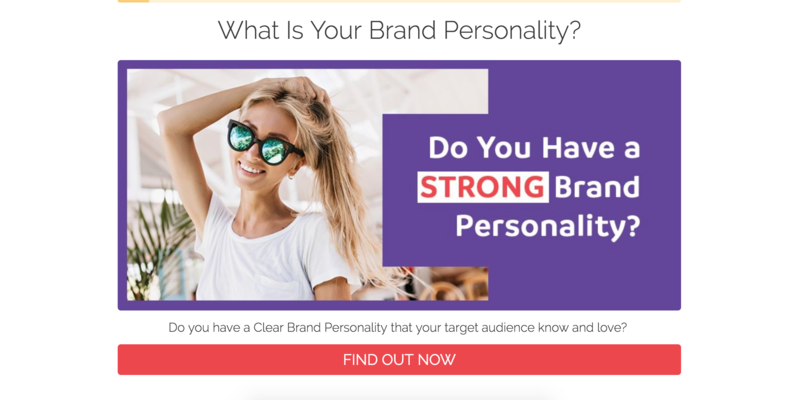 Anyone who wants to find out what their brand personality is can take my quiz, and when they finish answering a series of short questions, they pop in their name and email address to receive their quiz results. BOOM I just got a lead on to my email list. Here’s an example of my quiz I created through Interact. You can write and design an e-book talking about the benefits of your service. Or, for a more enticing read to your potential clients, you can create an ebook that gives your leads (these are people who are interested in your service and may buy from you in the future) “tips” on how to achieve *insert something that relates to your industry here*. Ok Sarah, what program do I use to build my email list? You will need to create a new list in one of the above, it’s super easy to do, and both platforms will guide you how to do this. You can also check out their help section. Ok let’s come back to setting up our email marketing program. We need to put our freebie somewhere so people can opt in to download it. How do I get my freebie out there to the public? OK so now we need to actually get our freebie or lead magnets out there to the public so that we can begin building our email list. If you’ve created a quiz, this is super easy. 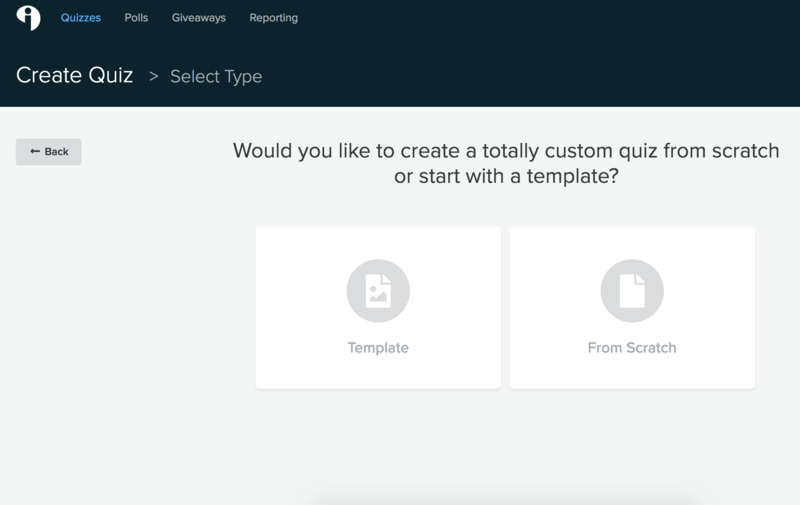 In Interact, you can create a pop up on your website with the quiz, or you can host the quiz on a landing page. You can even share the quiz to your social media accounts too. When you’ve finished creating your quiz, just go to the “Integration” Section and select where you’d like to share the quiz. If you’ve created an e-book, you will want to host this e-book on a landing page. Having it on a special landing page that is solely dedicated to promoting your freebie will give you a higher chance of gaining leads without the distractions your website offers (like menu items at the top of the page for example). You can set up free landing pages in both Mailchimp (head to the Templates tab) and Mailerlite (head to the Forms tab). A great way to get leads, and fast, is to create FB ads around your freebie. So you’ll create a nice image that looks and feels like your quiz or your e-book (so everything flows nicely). Your paid advert will target your ideal target audience, and it will link through to your landing page promoting your freebie. This is a great way to reach your target audience and build an email list quickly! When you get someone on your email list, you will want them to go through a series of automated emails that you would have set up through an email marketing program. In your first email of your series, you’ll want to send the user their freebie (duh :)). In Mailchimp or Mailerlite, you’ll need to navigate to the “automated” section to create a series of emails that will be sent automatically to anyone who opts in to receive your freebie from your landing page. If you have a quiz, this is much easier. You can integrate Interact with your email marketing programs, allowing your first email to be automatically sent to the user upon completion of the quiz. If your freebie is an e-book, you will host it online somewhere like Dropbox, then create and link a button in your first email of your series through to the e-book (make sure you never move the e-book otherwise you’ll have a broken link on your button!). Then you’ll want to continue the rest of your automated email series. And the best part of this is that you only have to do it once, and you never have to touch it again (unless it’s not working of course ;)). The beauty of automation! 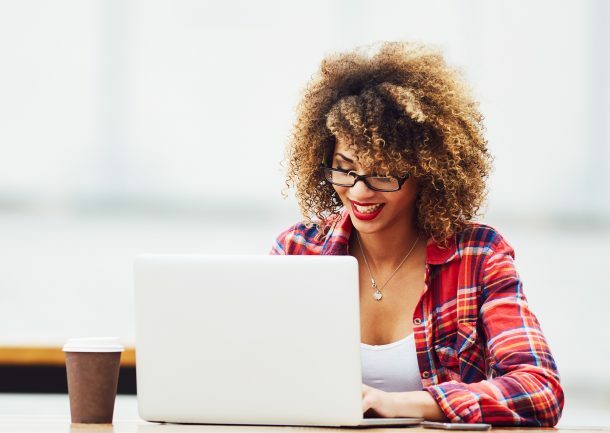 Your second email in your automated sequence should introduce yourself to the user (usually a couple days after they’ve received the email with the freebie). You can even create a call to action and invite them to like you on Facebook or Instagram. 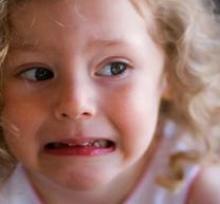 TIP: Remember to intertwine some story telling into your emails. This ensures you connect with your target audience and add that human factor to your emails. Continue to create a series of 5-10 emails that give the user heaps of value. The idea of this email sequence is to warm up your cold leads (people not ready to buy from you) so that they eventually will want to buy from you! You will also want to position yourself as the expert in your field through your email copy. The user will learn more about you and always think of you should they or anyone in their circle need your service. I like to keep my emails fun and full of value to avoid as many unsubscribes as I can. Side note: You will always get people unsubscribing your list. Don’t take it personally, it means they weren’t your ideal client. I would suggest turning off the notifications in your email marketing programs to unsubscribes if you don’t want to feel depressed every time someone opts out of your list, because hey we are human and it can hurt a bit. You will always get people unsubscribing your list. Don’t take it personally, it means they weren’t your ideal client. It’s a great idea to hire a copywriter if you can afford it, because copy has never been SO important in an instance like this where you’re literally using copy to warm up your leads. 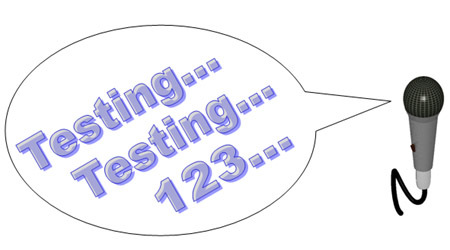 Bit first, test, test, test! Make sure you do a test through your landing page or quiz page to make sure you receive the e-book or quiz results after you’ve set up your automated email sequence in your email marketing program. Now sit and watch the emails roll in! I get a lot of replies to the emails that are authentic and contain a lot of human connection. This is the stuff people resonate with and therefore remember. So make sure you speak in your brands tone of voice (are you a friendly brand? Talk the way you would in a normal conversation. Are you more corporate? Make sure you maintain a professional tone of voice in your copy). I could literally go on all day about maintaining your brand and marketing, but I’ll stop there. 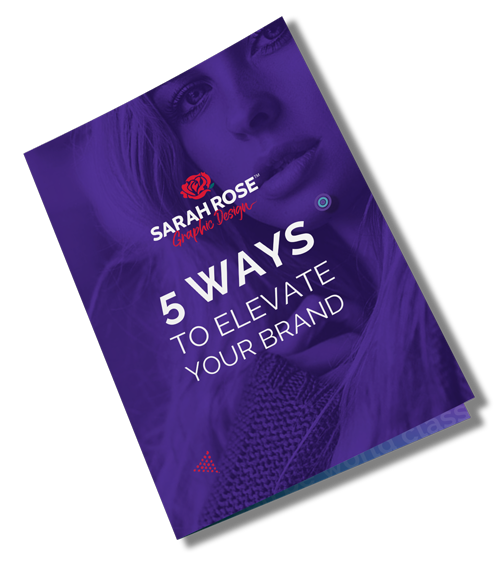 If you want tips on how to create a memorable brand that has human connection to really connect and resonate with your ideal client, you can sign up to my FREE email course that teaches you how to create a stand out, memorable brand and creates raving fans. Get it here. Feel free to reach out if you have any questions about quizzes, e-book designs, and list building!